The Vegan Magpie: Vegusto Burger and Cheese offer! Hello! 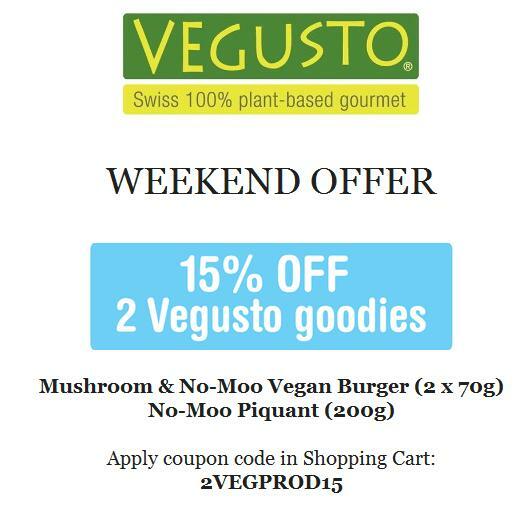 Here is this weekend's Vegusto offer... 15% off mushroom & no moo burgers and piquant cheese! 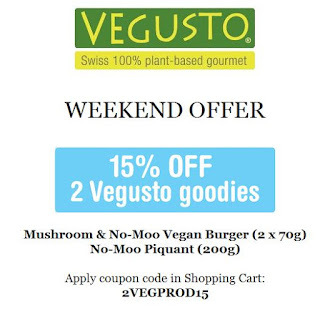 Just head here: https://vegusto.co.uk/ add them to your basket and checkout using the code 2VEGPROD15. This offer ends midnight Monday 21st August. Don't forget to consider postage when ordering. If you like these offers, you can sign up to Vegusto's newsletter at the bottom of their homepage (above) to get them straight to your inbox!